NOTE: These events are 2015. For 2016 events in Toronto area, please view latest calendar at Gaden Choling Toronto>. 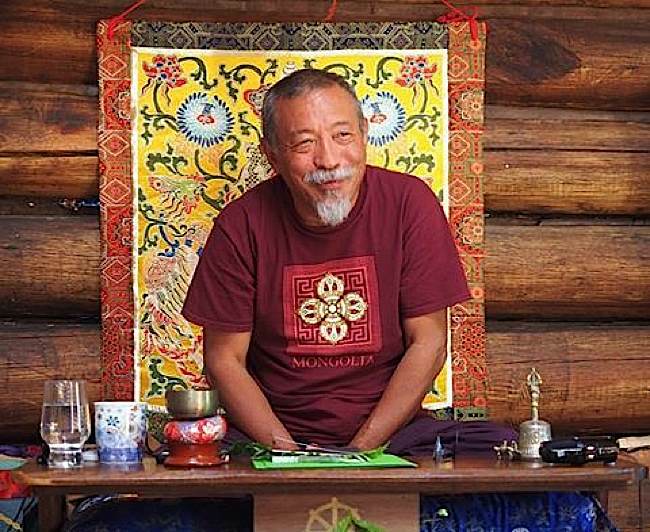 Venerable Zasep Tulku Rinpoche is an exemplar of the Tibetan high lama who excels in teaching Western students—having taught in the West, as Spiritual Director at Gaden for the West, for over four decades. He is popular not only because of high realizations, but also his ability to deliver teachings so that any student can understand. His compassion, patience, ready smile, and ability to teach in English (and several other languages) are reasons students around the world watch his schedule for local teachings. 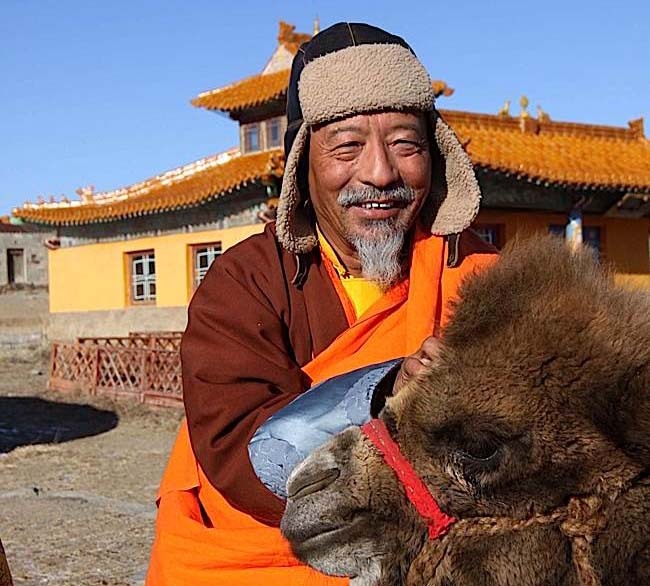 Rinpoche and friend during one of his remote missions to Mongolia. Rinpoche teaches in remote areas of Mongolia often only accessible by horse or four-wheel drive. To have the opportunity to take initiation from a highly realized teacher is a rare opportunity. But how do you choose a practice? Rinpoche will deliver all teachings at Gaden Choling Mahayana Buddhist Meditation Centre, at 637 Christie Street, Toronto, Ontario, Canada. This month-long round of intense teachings has it all. Buddhist practitioners at all levels can benefit from the teachings on Lama Tsongkhapa and Lamrim. More advanced practitioners in quest of wisdom will be excited to learn Rinpoche is initiating serious students in White Manjushri. In these stressful times, the long life practices of Amitayus can be helpful. Rare Chod practices may suit the compassionate and serious practitioners who are willing to give their all to sentient beings. And, for the very advanced student, already seriously practicing deity yoga, Rinpoche will give teachings and initiations in Highest Yoga Tantra. 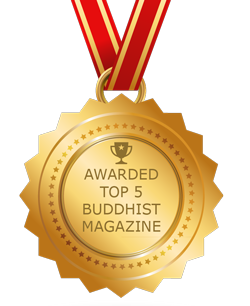 These precious practices represent a proven path to Enlightenment, from the basic Lamrim practices to the meaningful Deity Yoga, to “cutting ego” practices of Chod, to the very profound Highest Yoga Tantra practices. 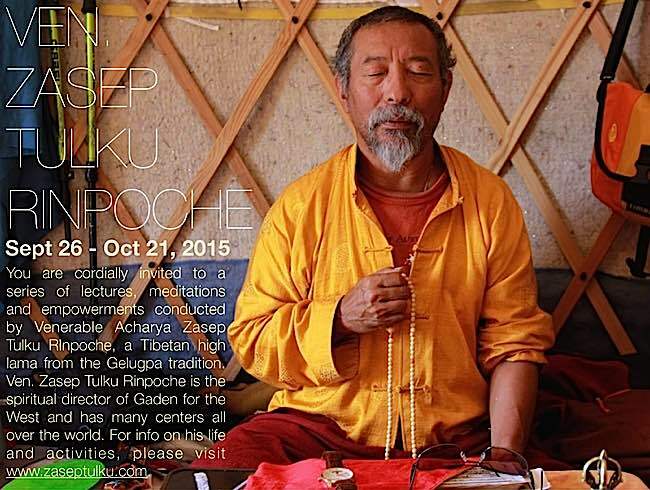 Thirteenth Zasep Tulku, Archarya Zasep Tulku Rinpoche is an engaging and respected Tibetan Buddhist Guru. “Guru Yoga means the “yoga that finds our Guru” and is the practice where we merge our mind with the wisdom of our root Guru and Yidam who we see as one being,” explains the poster from Gaden Choling Mahayana Buddhist Meditation Centre. Rinpoche will teach this yoga meditation—suitable for most Buddhists with faith. Lam Rim and Guru Yoga are important foundation practices. 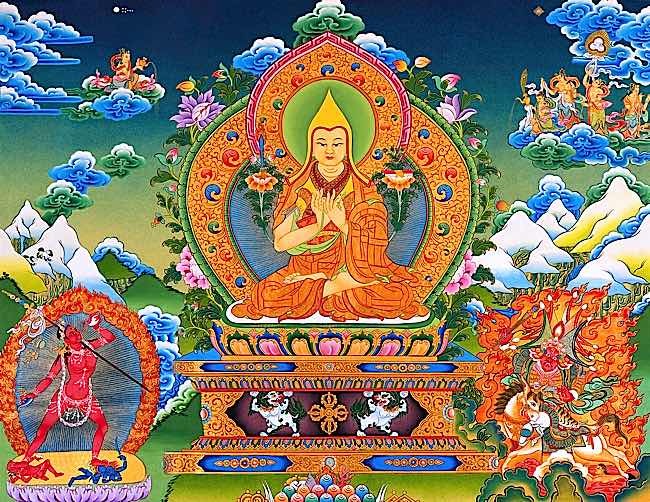 Lama Je Tsongkhapa is the Enlightened founder of the Gelugpa tradition. 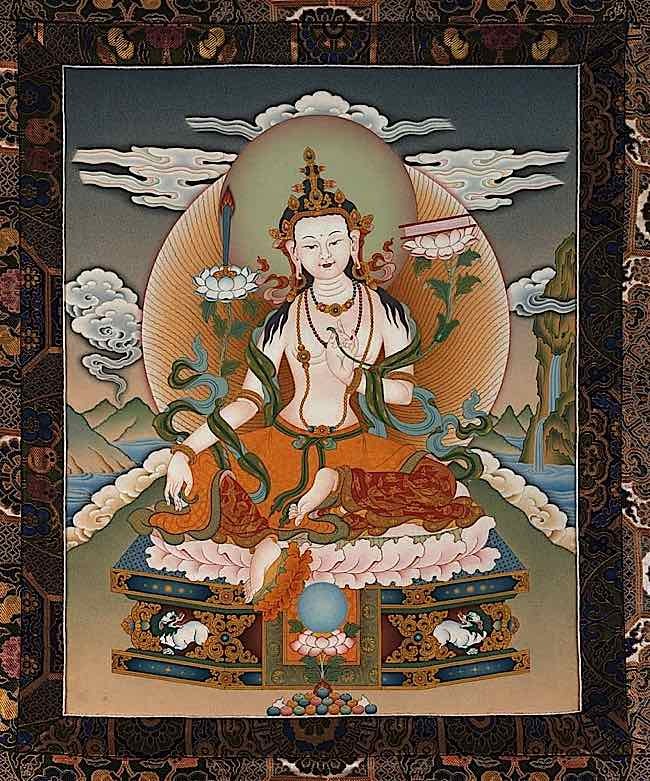 Lama Je Tsongkahapa (1357-1419) embodies the ideals of three great Bodhisattvas: Compassionate Avalokitesvara (Chenrezig), wise Manjushri and powerful Vajrapani. 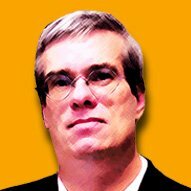 He “is an important master of Tibetan Buddhism and founder of the Gelug school…” according to Bhikshuni Thubten Chodren’s website. 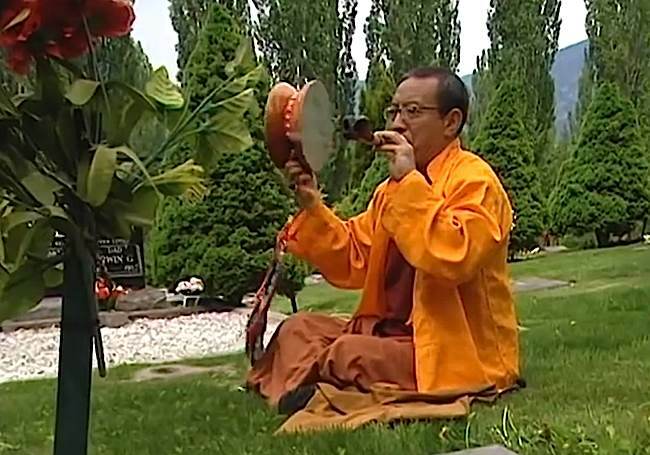 Zasep Tulku Rinpoche with Chod drum. From the movie “Please Come Again” featuring Zasep Tulku Rinpoche. Commitments: daily commitment to recite Gate mantras daily, together with Refuge and Bodhisattva Vows. Yamantaka was the main yidam practice of the great Lama Tsongkhapa, the founder of the Gelugpa school. With Yamantaka practice, he achieved Enlightenment in his lifetime. Yamantaka practice is a Highest Yoga Tantra practice. 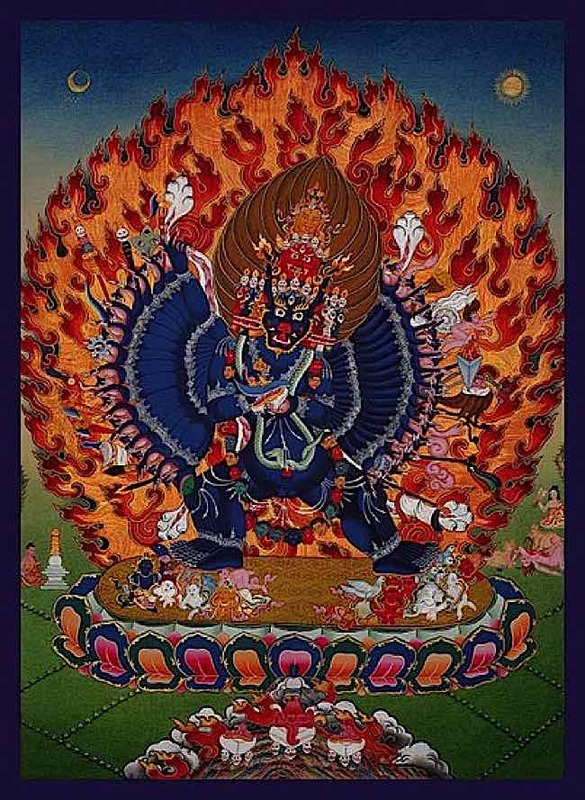 Yamantaka (literally meaning “destroyer of death”), also known as Vajrabhairava (meaning “Adamantine Destroyer”), is a Highest Yoga Tantra practice and should only be considered by advanced students. This is not only because it comes with serious commitments, but because it requires a strong foundation in precursor practices such as Guru Yoga, Creation Yoga (Kriya Tantra), and Purification practices. Commitments: Although this is preparation for the main initiation on Saturday, the main initiation has a major daily sadhana commitment together with Refuge, Bodhisattva Vows, AND Tantric Vows. 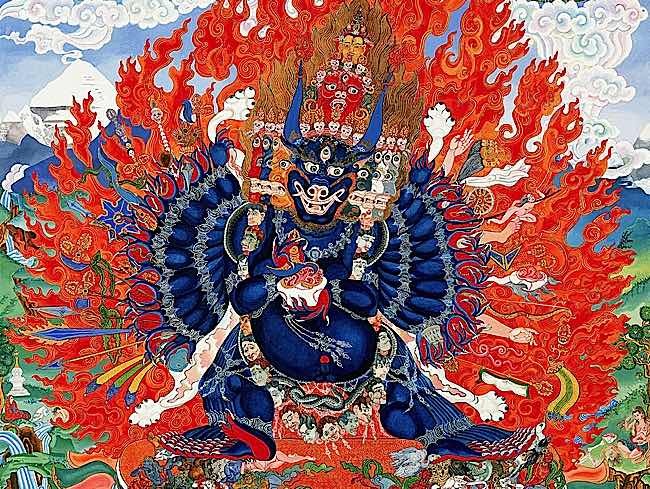 Yamantaka is one of the main meditation deities of the Gelugpa tradition. The practice is intended for practitioners who have foundation practices and who are willing to commit to a serious, unbreakable daily commitment. Highest Yoga Tantra is not for light practice or “lazy practice” as it’s sometimes called. Highest Yoga Tantra, on the other hand, if one has the will, powerfully cuts through the obstacles to our Enlightenment. Yamantaka literally means “the one who puts an end to death.” The force that can put an end to Death must be the strongest of the strong, the most forceful of the forceful, the most wrathful of the wrathful—but a force motivated by compassion and wisdom. 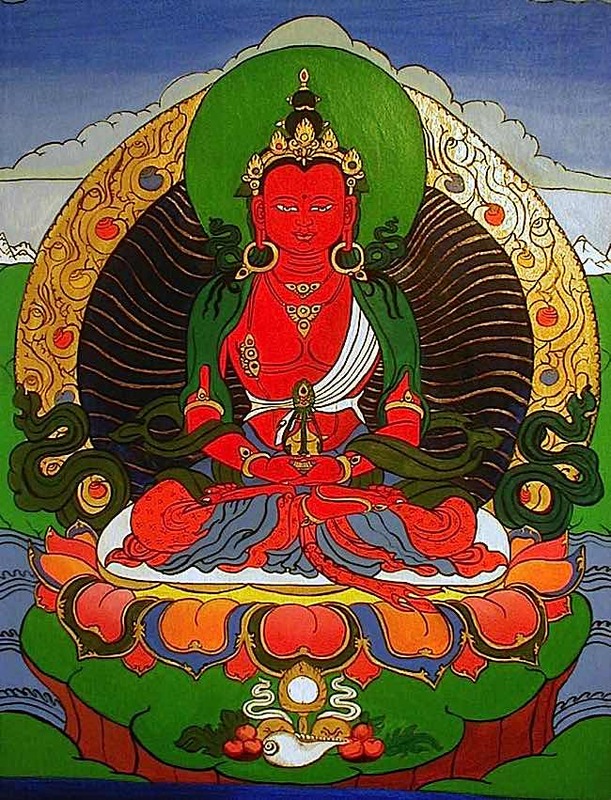 Yamantaka is, in fact, an aspect of Manjushri, the great and peaceful Buddha of Wisdom. Prerequisites: MUST HAVE TAKEN PREPARATION INITIATION OF YAMANTAKA, Friday Oct 2. 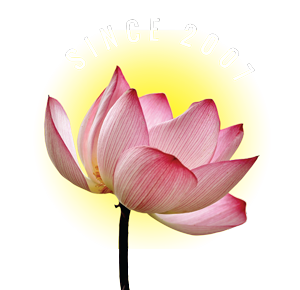 Commitments: This initiation has a major daily sadhana commitment together with Refuge, Bodhisattva Vows, AND Tantric Vows and Daily Six Session Guru Yoga. It was from Manjushri that Lama Tsongkhapa, after engaging in a 4 year retreat in a cave, directly received teachings. 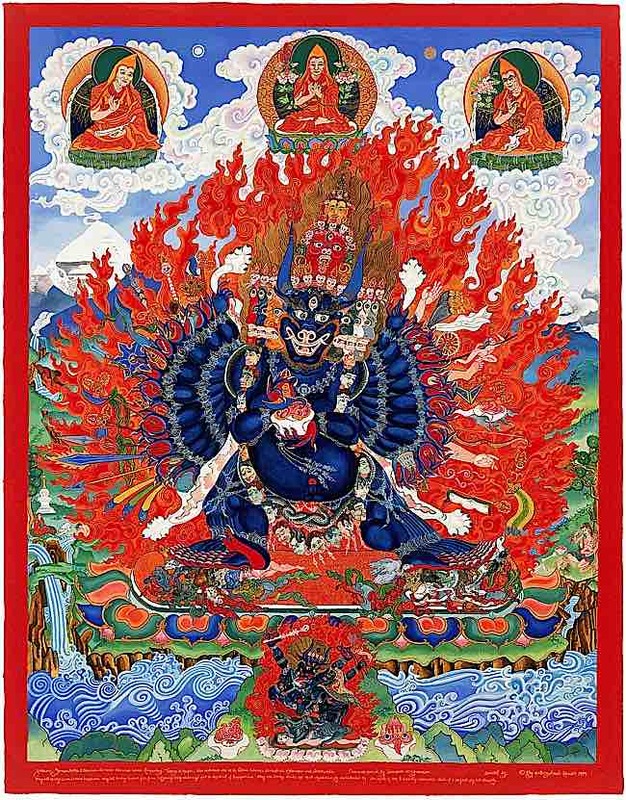 Just as wisdom has many forms and faces, Manjushri has many forms, white, orange, green, blue, white, four-armed and in fierce aspects such as the great Yamantaka, 4-faced Mahakala and Black Manjushri. Commitments: This initiation has commitment together with Refuge, Bodhisattva Vows. Note: Highest Yoga Tanttra with serious Commitments including Tsog offering 2 times per month, taking of Bodhisattva and Tantric vows. Vajrayogini is among the highest practices aspired to by many serious practitioners. These serious practitioners are most fortunate. To take Vajrayogini initiation, previous Highest Yoga Tantra initiation is required, in this case Yamantaka Initiation. Only serious students, able to commit significant time daily to practice, should consider Vajrayogini initiation. 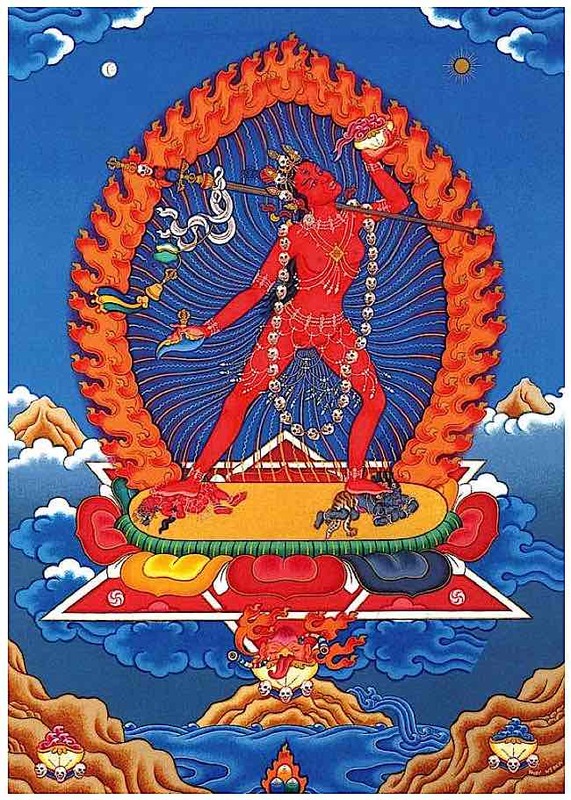 Vajrayogini practice is a Highest Yoga Tantra practice. Vajrayogini is first and most important among the Dakinis. She is considered the “Sarva Buddha Dakini” the Dakini Who is the Essence of All Buddhas. Her radiant body is ablaze, dancing with the heat of yogic fire, surrounded by the flames of wisdom. Prerequisites: MUST HAVE TAKEN FULL TWO-DAY INITIATION OF YAMANTAKA. Commitments: This initiation has a major daily commitment and twice-monthly Tsog Offering requirement (offering feast), together with Refuge, Bodhisattva Vows, AND Tantric Vows. The Buddha of Infinite Life is none other than Amitabha in the form of the Buddha of Long life and Increase. While outwardly, His practice is known for also increasing good health, helpful friends and living conditions supportive of Dharma practice, the deeper benefits include a greater understanding of the Dharma, and support for practicing morality. Like Amitabha, his light removes the darkness of ignorance. Amitayus, Buddha of Long Life. In his visualization, he typically holds a long-life vase filled with the nectar of immortality. Students often offer Amitayus practice to their teachers and Gurus, requesting they live long and teach and spread the Dharma. 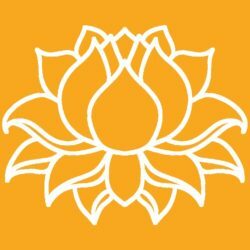 Gaden Choling Mahayana Buddhist Meditation Centre is among the oldest Tibetan Buddhist Centres in Canada, having celebrated its 30th year this year. 637 Christie Street, Toronto, Ontario, Canada. “Introduction to Vajrabhairava System of Anuttarayoga Tantra” speaking engagement in Moscow Russia, June 2014, Alexander Berzin. Happy Wesak Day! On this most sacred day, celebrating the birth, Enlightenment and Paranirvana of Gautama Buddha, we wish all sentient beings health, happiness, and ultimate Enlightenment. 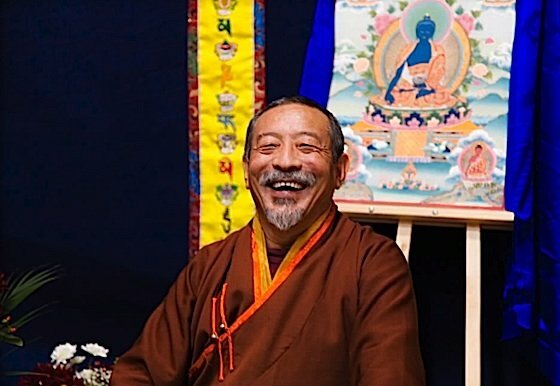 Venerable Zasep Tulku Rinpoche Returns to Toronto for Extensive Round of Buddhist Teachings in April at Gaden Choling Toronto: Ngondro Foundation Practice, Mahamudra, Six Session Yoga, La Gug Life Force Retrieval and Kalachakra. 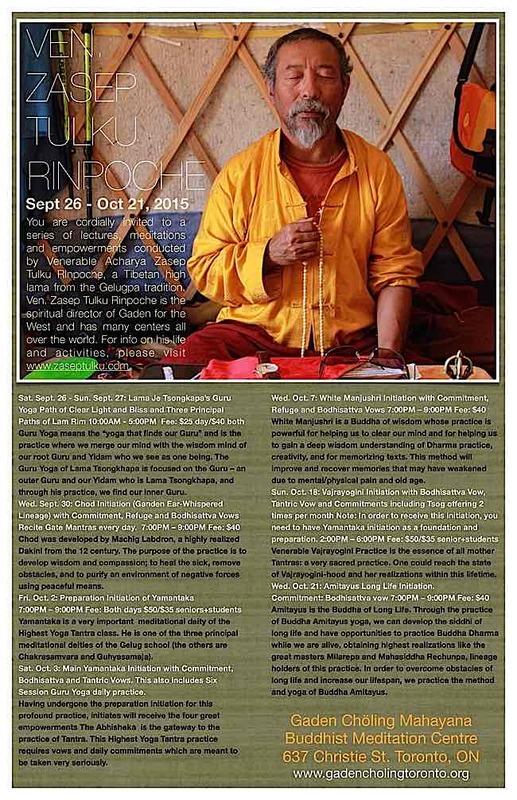 Rinpoche will be in Bloomington Indiana and Cincinnati Ohio giving teachings and empowerments from 10/9/2015 through 10/13/2015 at Gaden Kachoeshing and Gaden Samdrupling respectively.